Narendra Modi government’s flagship scheme, Digital India, is transforming the country at the grassroots. 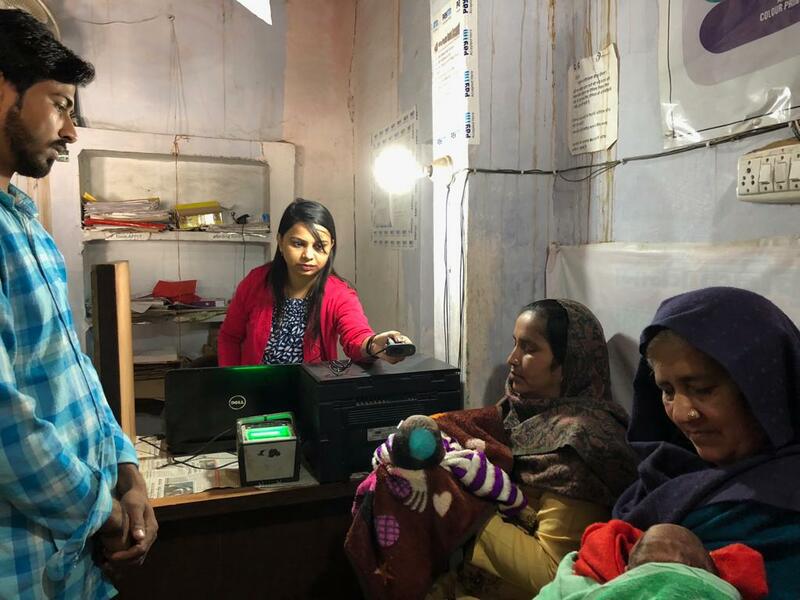 Common Services Centres (CSCs) have been a boost for the Narendra Modi government’s flagship scheme Digital India, and have succeeded in bringing government schemes closer to rural citizens. Their impressive record in last-mile delivery proves they are the fulcrum on which Digital India rests. These access points deliver not only essential public utility services to ordinary citizens in rural and far-flung areas, but also extend government social welfare schemes, healthcare, education, financial inclusion, agricultural services and several Business to Consumer (B2C) services to locals. Though the concept of CSCs emerged from the National e-Governance Plan envisioned during the Congress’s United Progressive Alliance (UPA) regime, their scale-up after the launch of ‘Digital India’ has been phenomenal. A network of more than 2.7 lakh Village Level Entrepreneurs (VLEs), of which 1.63 lakh work in Gram Panchayats across India, has been the nerve centre of last-mile delivery. From close to a lakh CSCs in 2011, more than three lakh CSCs have been opened all over the country. In his video conference with more than 50 lakh people from CSCs in May 2018, Prime Minister Modi mentioned that nearly 52,000 VLEs were women or young entrepreneurs and the CSCs had helped generate more than 10 lakh government jobs. Misbah Hashmi, a 26-year-old graduate from Haryana’s Yamuna Nagar district is one such empowered VLE. 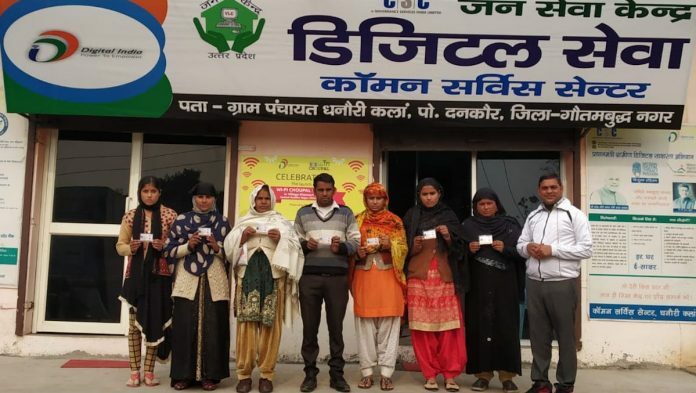 When Hashmi, a socially committed citizen, chanced upon an advertisement about CSC, she decided to work for her village Buria, in Jagadhari block—largely dominated by the minority community—rather than choosing the usual route of looking for jobs. It was challenging to explain what she was doing to her friends and relatives who expected her to get married, train for the civil service examinations or have a regular day job. While Hashmi’s work was earlier restricted to managing basic operations such as offering mobile recharge and a basic, paid computer literacy course, after the launch of Digital India in 2015, there has been a spurt in the scale of VLE operations. “Many in the Muslim community that I come from were apprehensive of going out of the village or linking themselves to government schemes. But now these schemes have come to their doorsteps through my CSC,” she says. Like other CSCs, Misbah’s unit offers a slew of services. Different ministries of the central government have signed Memoranda of Understanding (MoUs) with the CSC Special Purpose Vehicles (SPV). Various Government to Citizen (G2C) services have been integrated with the Digital Seva portal. The Bharat Bill Pay scheme offers one-stop online bill payment for electricity, mobile, broadband, landline, DTH, gas, water and other services. It also facilitates filling and uploading passport forms, PAN, Aadhaar cards and EPIC Voter ID cards. Government figures suggest that during 2016-17, around 2.19 lakh passport applications, 28.94 lakh PAN cards, 5.26 lakh applications for toilets under the Swachh Bharat Abhiyan, 27.97 lakh applications for housing under Pradhan Mantri Awas Yojana (PMAY), 56.18 lakh EPIC cards and 1.24 lakh farmer registrations for Soil Health Cards were submitted and processed through CSCs. Misbah remembers how she worked through a cold winter night in November 2017, filling housing forms for ordinary citizens under the PMAY—owing to her service delivery, many of them have got new houses already. She says she has assisted in opening more than 2,000 bank accounts under the Jan Dhan Yojana, encouraged merchants to go cashless by using the BHIM app, as well as helped disburse pensions to senior citizens at the doorstep under the Atal Pension Yojana and extended public insurance schemes to other citizens. An important task that Misbah and other VLEs have achieved considerable success is healthcare delivery. Five women at her CSC work to manufacture sanitary pads. Students and their mothers are invited for awareness sessions on the need to use pads. “I was shocked by the complete lack of awareness about this important need. Initially, I was very embarrassed talking about it, but now I regularly mentor girls about this and they have become very comfortable in sharing intimate problems with me,” she explains. 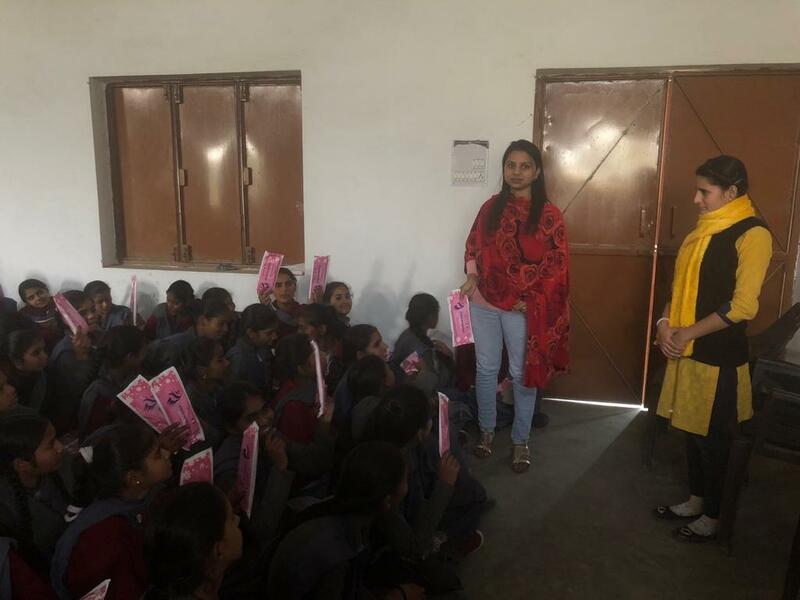 With the telemedicine facility, young girls can pose questions about menstrual health to doctors over video call without feeling embarrassed. Since 2015, CSCs have also been distributing quality medicines at affordable rates through the Pradhan Mantri Jan Aushadhi Scheme and now through the Ayushman Bharat scheme. ‘Hello Health Kits’ for basic health parameters, ‘Nethra kits’ for eye tests, ‘HealthHomeo’ for homoeopathic treatment, ‘JIVA Ayurveda’ and basic pathology facilities have begun reaching the remotest corners through this network. Misbah’s father Mohammad Irshad, who was initially sceptical about her work, has now joined her full-time post-retirement. Her centre sees a daily footfall of nearly 100 from her village, which has a population of about 10,000. Ordinary citizens do not leave the village to seek basic services any more. They are keen to know more about new schemes and how to avail benefits. “My biggest reward has been the fact that parents have even begun naming their sons after me, as Misbah Khan! I never dreamt I would become such a role model,” she says. She gets invited to lecture students at colleges and has participated in international conventions, such as the Global Conference on Security. Today, Misbah’s work has even been cited as a case study on women entrepreneurs at a Delhi-based private management school. “The respect and recognition that I have earned, and the satisfaction of seeing people of my village and community happy, have allayed all our apprehensions about my choice of work,” she adds. Misbah is but one success story. Jitendra Solanki of Uttar Pradesh’s Dhanauri Kalan village shares a similar tale. He began his CSC after losing his job in 2013 with just one computer. Post-2015, his CSC got 18 systems and nearly 15 employees, and buzzes with activity from 8 AM to 8 PM each day. He serves not only his own village that has a population of about 4,000 but also around 12 others in the vicinity. Besides the regular CSC services, Solanki offers educational support as well. Since its launch in February 2017, the Pradhan Mantri Gramin Digital Saksharata Abhiyan (PMGDISHA) has sought to provide digital literacy training to six crore citizens in rural areas, reaching out to 40 per cent rural households by covering at least one member from every digitally unskilled family. These courses are offered free of cost. 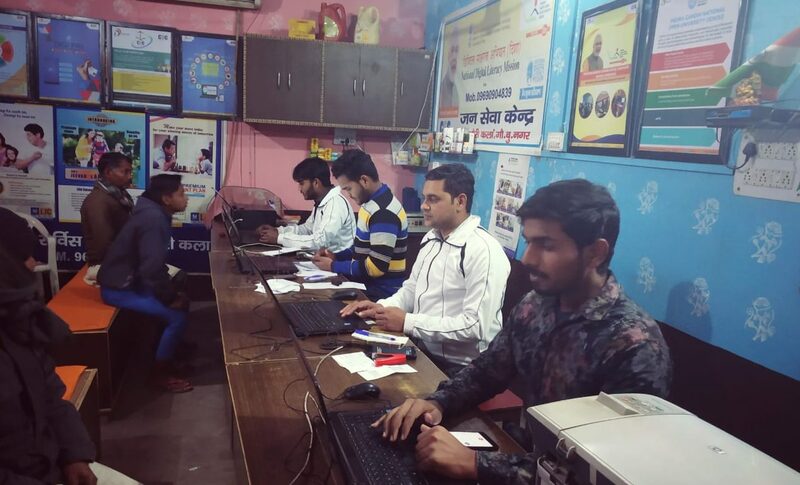 They run for nearly 1-2 months during which people receive basic training such as operating a computer, maintaining e-mail accounts—and learn how to use digital payments, online banking, ticket booking through IRCTC and to access social media. In addition, advanced courses on Legal Literacy, Online English Speaking and Tally are offered for a nominal fee. Students of the village can also access online course material for key competitive examinations in the comfort of their homes. It must be mentioned that nearly 1.88 lakh madrasa students registered under the Cyber Gram Yojana. Of these, 1.55 lakh were trained and 1.43 lakh certified. Jitendra’s village, termed a ‘Digi-Gaon,’ is Wi-Fi enabled with a decent speed of 2MBPS. “Through the Fibre-to-Home (F2H) scheme, 12 devices have been stationed across the village as a pilot project,” he adds. During demonetisation, his CSC collected deposits up to Rs 2,000 per day, per account with fingerprint authentication and the same amount could be withdrawn in fresh currency the very next day. According to him, at least the villages linked to his CSC never faced the trouble of long queues during those difficult days. Just like Misbah, Jitendra has distributed sanitary pads free of cost to nearly 150 girls. He says women in the village have actively associated themselves with the manufacture of the pads. What is more, locals gather to manufacture LED bulbs, Diwali candles and a few other small jobs have boosted rural entrepreneurship. 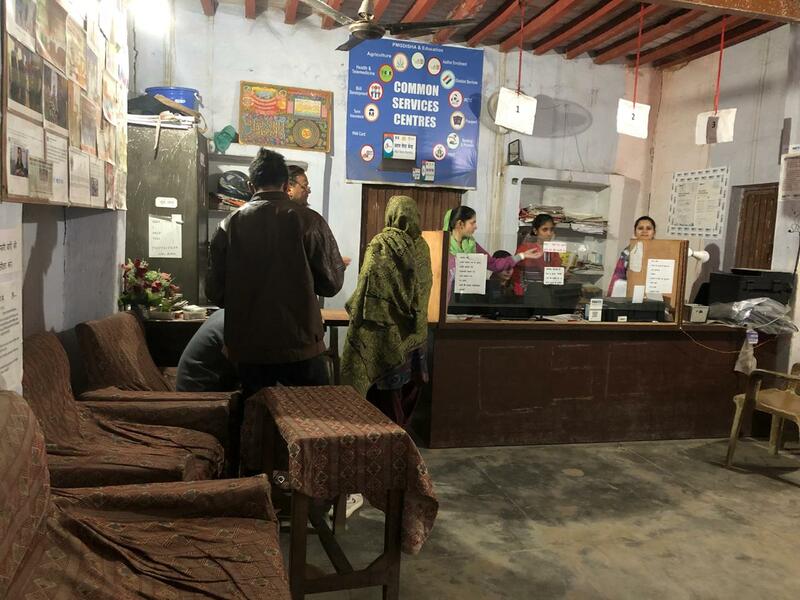 And, in order to post their complaints, grievances and suggestions, the locals are provided Citizen to Government (C2G) kiosks that register the loopholes last-mile delivery. Jitendra attends periodic workshops for state and national-level VLEs that have given rural citizens like him access to ministerial wisdom. “Being a common man, I had not even met an MLA. But the Minister of Information Technology, Ravi Shankar Prasad is present in each and every workshop and all of us know him now. It is an honour for people like me to meet him and also connect with the Prime Minister through video-conferencing. That was the most memorable day of my life,” he says. The likes of Misbah and Jitendra prove that by bridging the gap between gaon and governance, the CSCs have helped the Digital India revolution swell. The author is a historian/political analyst and a Senior Research Fellow at the Nehru Memorial Museum and Library. This is the fourth part of a series on the author’s conversations with beneficiaries of schemes launched by the Narendra Modi government.